All abstracts must be submitted through the ONLINE SUBMISSION. 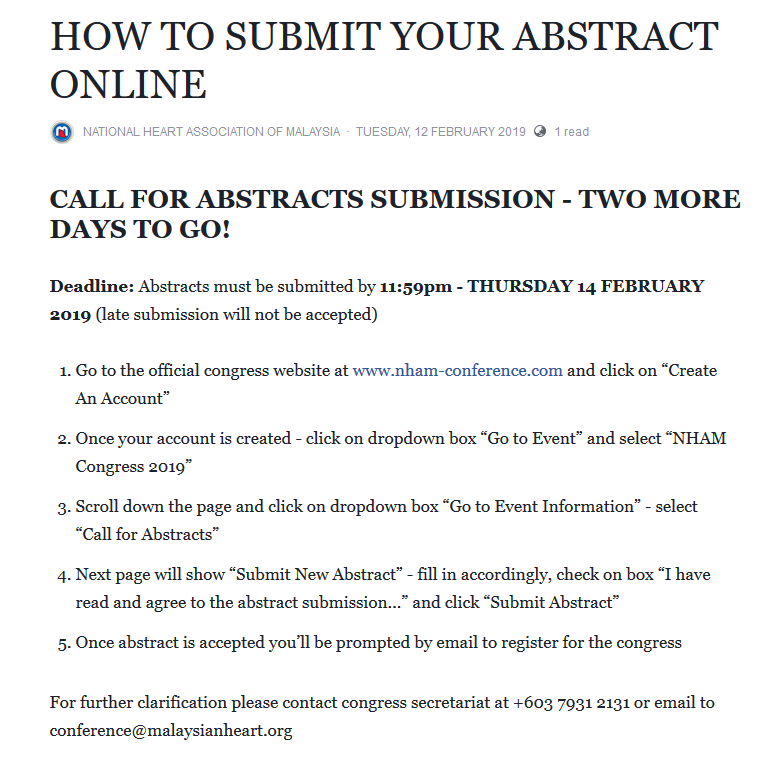 Abstracts submitted via email, fax or post will not be accepted. 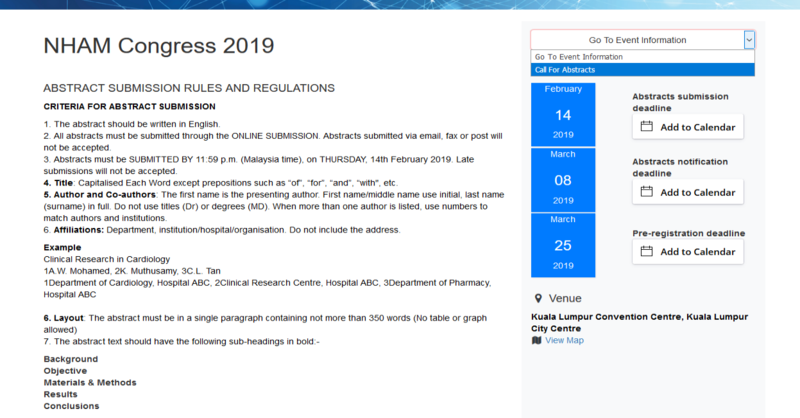 Abstracts must be SUBMITTED BY 11:59 p.m. (Malaysia time), on THURSDAY, 14th February 2019. Late submissions will not be accepted. Title: Capitalised Each Word except prepositions such as “of”, “for”, “and”, “with", etc. Author and Co-authors: The first name is the presenting author. First name/middle name use initial, last name (surname) in full. Do not use titles (Dr) or degrees (MD). When more than one author is listed, use numbers to match authors and institutions. Affiliations: Department, institution/hospital/organisation. 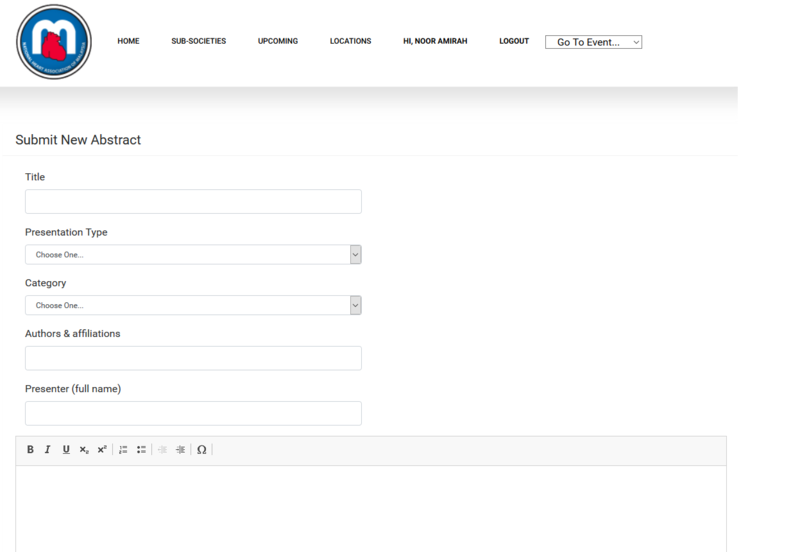 Do not include the address.